It has been over ten years since I last visited my country’s capital, and as much as I remember dreading the weighty humidity and equally belligerent politics there, I began to have a longing for the showcase of culture and nationhood so prominently displayed just over 500 miles to the north of Charleston. I avoided my annual urge to visit Singapore and instead grabbed cheap tickets to DC for the Easter weekend. The trip started with a somber visit to Arlington National Cemetery. Avoiding crowds, we headed first to the Tomb of the Unknown Solider and its associated Changing of the Guard ritual. 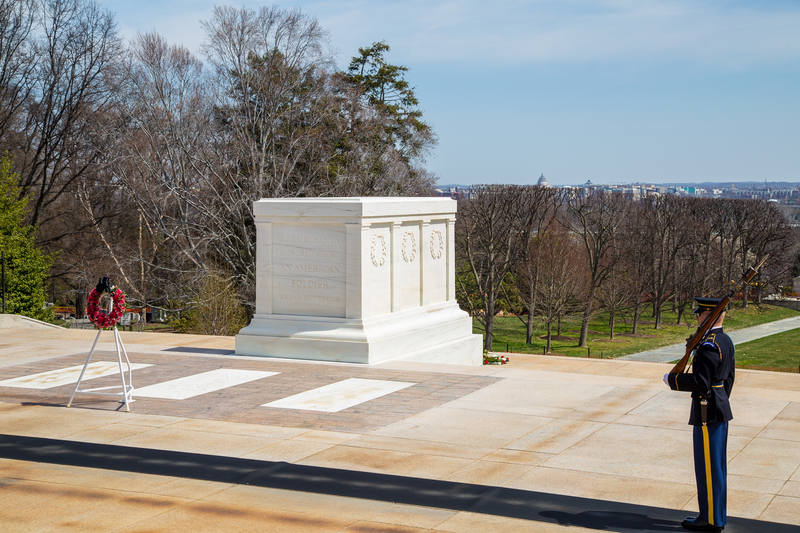 The tomb itself commemorates unidentified soldiers of World War I, though Unknowns from World War II, the Vietnam War, and the Korean War are buried in three graves at the foot of the tomb. As always, the guards’ precision was impeccable, a solemn salute to the service of those who gave their lives defending our ideology and our freedom.